Since today, September the 30th is Rumi’s birthday, I thought it would be fitting to pay tribute to him by listing a collection of his great and inspiring quotes. 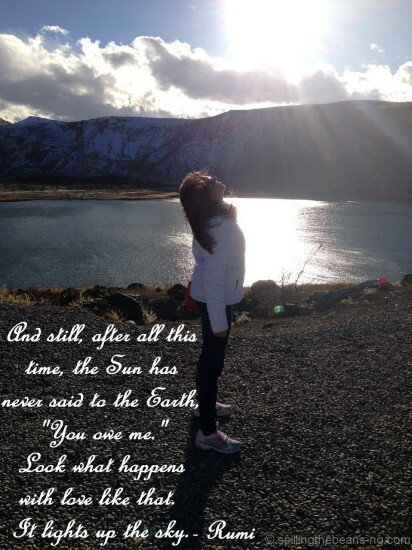 And still, after all this time, the Sun has never said to the Earth, “You owe me.” Look what happens with love like that. It lights up the sky. Whenever we can manage to love without expectations, calculations, negotiations, we are indeed in heaven. You’re very welcome! And that’s a wonderful quote too. Thanks for stopping by!